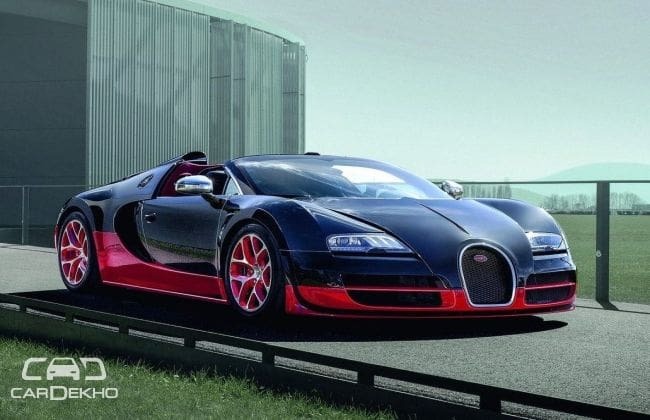 If you have been contemplating whether to buy a Bugatti Veyron or not, it’s time to make a decision. A couple of weeks back, we reported that almost all of 450 examples of Bugatti Veyrons have been sold with only 15 models remaining. That number has now further dropped to only eight Bugatti Veyrons remaining for sale. Though initially, only 300 units of Bugatti Veyrons were planned for production, the number was later increased to 450 units with the introduction of roadster variants of Veyron in the form of Grand Sport in 2008. The 300 coupe variants were completely sold out by September 2011 and now only Grand Sport and Vitesse roadster variants remain. It wouldn’t be surprising if Bugatti announces some special edition series now to finish off the remaining Veyrons. News reports about the Veyron’s successor have been doing the rounds and we too have reported that the next Bugatti could be called Chiron. It is expected to be a hybrid model, matching the current trend, but with a massive 1500 hp output. And in typical Bugatti fashion, the Chiron is said to have a top speed of over 463 km/h with and a 0 to 100 km/h sprint coming in under 2.5 seconds. Looks like it will be time to rewrite the record books soon.